If there is one thing I can take from this reviewing experience, it’s that I should take photos before I start playing around with the product. 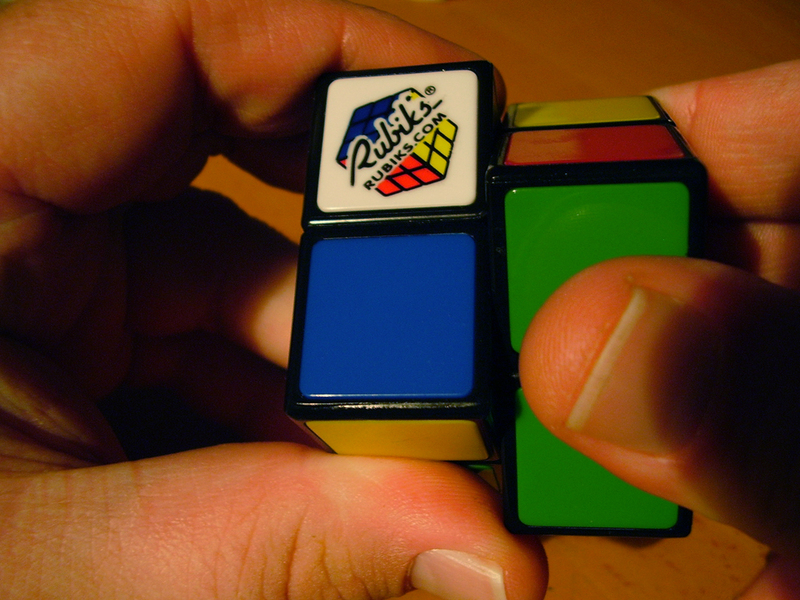 The Rubik’s Cube, product of Hungarian inventor and architect Ernő Rubik, has been around for almost 40 years, leaving only the befuddlement of children and adults in its wake. It was created in 1974, licensed to the Ideal toy company in 1980 and is baffling me here in 2013. I was sent one to review and I pondered how I’d do so. 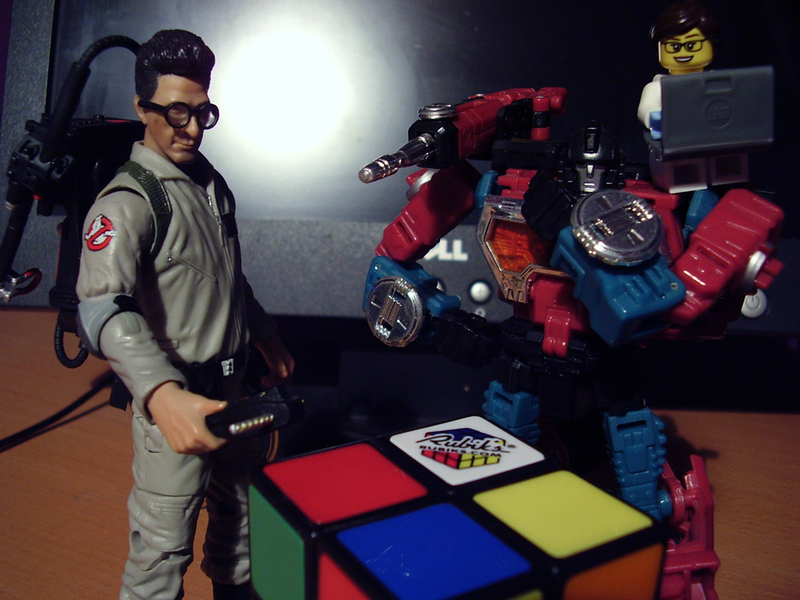 Everyone knows what a Rubik’s Cube is. Everyone has seen a dozen variations on the same idea, so what could I possibly say to add to that? Simple, I can tell you how I have no idea how to solve this damn thing. I had a perfectly fine, completed Rubik’s Cube 2×2 straight out of the packaging and, in a moment of hubris, I thought I could futz with the cube and revert it back to its original form before taking photos. GUESS WHAT HAPPENED. I’ve tried all their tips (as best I can) and I’ve even enlisted the help of the finest minds at my disposal and the best I came up with is two completed sides. I can’t even say I give up, because I know this thing will be on my desk for the rest of time and I will be idly twisting and turning in a vain attempt to recapture what was once a nice little display piece and is now a mismatched puzzle box of my own failure. 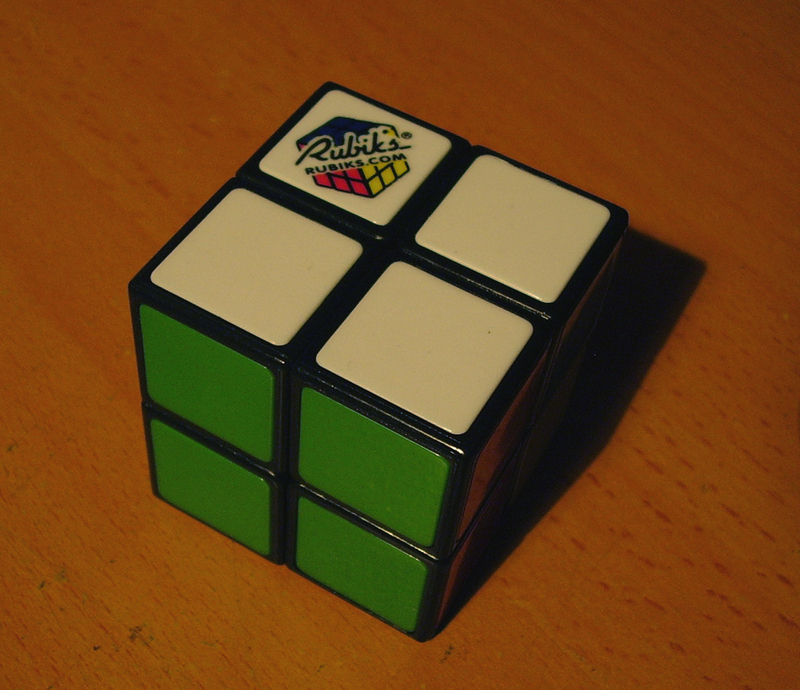 My verdict on the Rubik’s Cube 2×2? It’s a classic twist on an old idea. 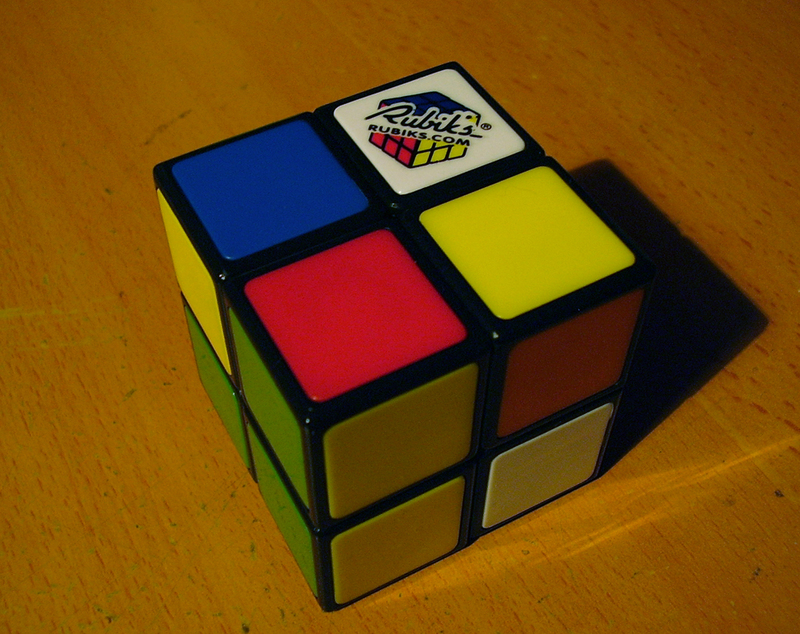 It’s a Rubik’s Cube, there’s not much more I can say. It’s easily the most recognisable brand of Christmas stocking stuffer for any age. 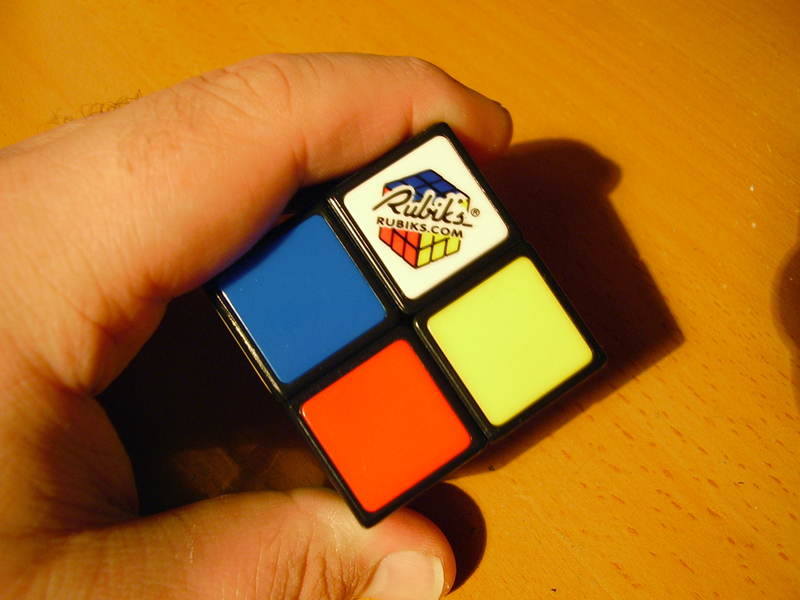 You can’t beat a Rubik’s Cube for brand recognition and I’m sure they’ll be confusing, befuddling and enraging the masses, including me, for another 40 years.